As part of the Secretary of States for Communities and Local Government announcement to commemorate the bravery of those who were awarded the Victoria Cross during World War One, a Commemorative Paving Stone was unveiled at the Maxwelltown Memorial, New Abbey Road, Dumfries to commemorate the award of the VC to Private James Mackenzie. The VC was awarded on 19th December 1914 at Rouge Bancs. 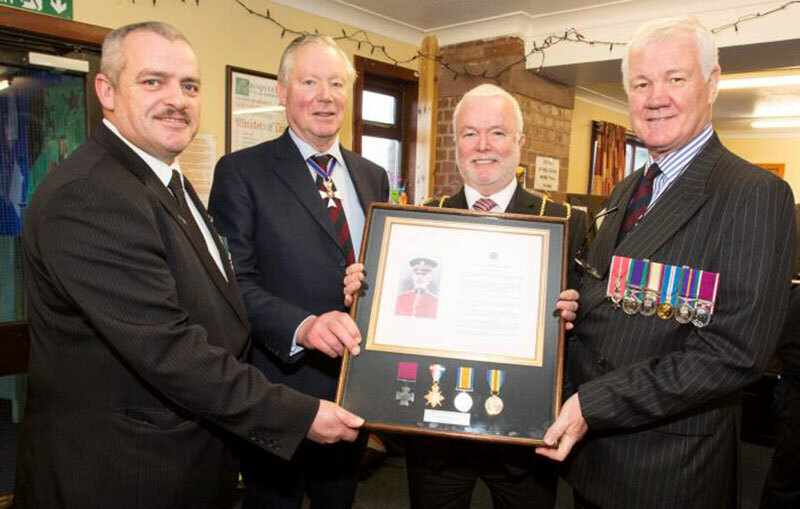 The Ceremony was arranged by the Dumfries and Galloway Council, led by Councillor Archie Drybuirgh, Chairman of the Armed Forces Working Group. Lt Col Sir Malcolm Ross, Major Ray Walker, and Captain John Bull represented the Scots Guards Association and Regiment with other local members of the Association also attended. The Commemorative Paving Stone was unveiled by a descendent of Private James Mackenzie VC which was followed by a church service at Troqueer Parish Church and a lunch at the Church Centre. An exhibition of works researched on World War One Memorabilia by pupils from the Laurieknowe and Troqueer Primary School was on display in the afternoon. 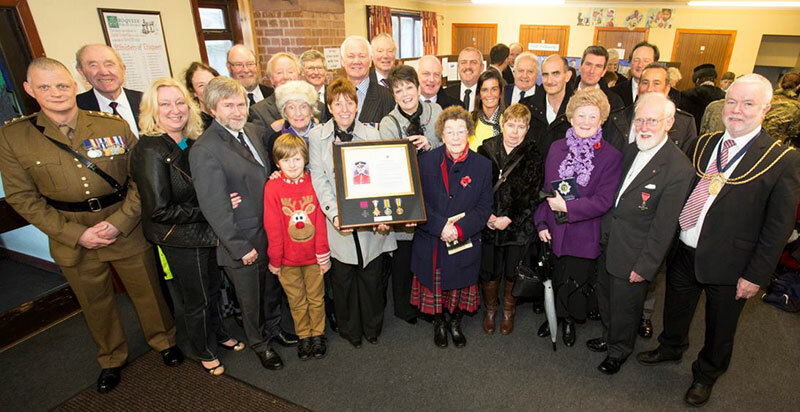 Lt Col Sir Malcolm Ross, Maj Ray Walker, Capt John Bull and Council members with the closest living relatives to Pte James Mackenzie VC.